It is simply not enough to run advertisements in this day and age. To keep your brand relevant and increase your customer base, you need to stay in tune with what your customer needs. The best way to do that? By gathering and listening to customer feedback. Monitoring customer satisfaction to improve your brand and products should always be a top priority. Fortunately, modern technology is providing many ways to gather customer information, instantly. Gathering information from customers via surveys is a beneficial way to get real data on business-related items. However, if customers don’t participate, then the surveys are useless. While traditional customer surveys can present multiple questions that you would like answered, sometimes it’s the case that people do not have time for that. You may consider retrieving information from live users with short, pop-up questions that appear as they browse. These single questions are useful for taking a quick poll and then changing the question later for another survey. Longer, in-depth surveys can be designed with software tools. 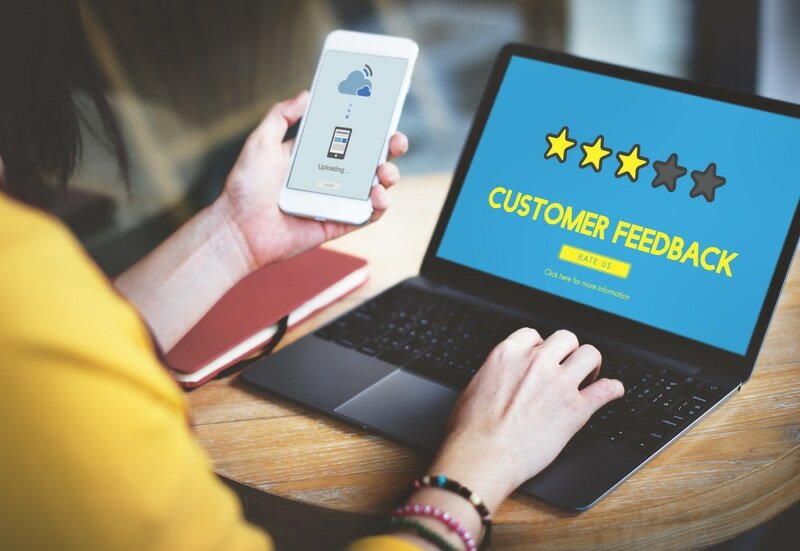 These types of customer-feedback surveys should contain clear and relevant questions and consistent rating scales while avoid leading questions. All surveys should be accessible on mobile devices and should be brief. According to research, 99 percent of consumers check their email everyday. If you really want to reach your customer base, then email is an effective way to do so. When you’re looking for feedback, emailing questions to your customers is a direct way to bring the subject to the consumer. It is best to keep emails short and scannable. Big, bold text is good. If you want feedback on a specific event, then send the email soon after it’s held. Let the customer know how you plan on using the results and act on those results quickly so that your customers can see concrete results from their participation. It can be useful to observe visitors as they use your site. Website-usability tests involve watching users as they browse your site. Running a true usability test yourself requires equipment setups and participation from targeted test groups. Remote usability tests are easier as they are conducted by a vendor and are cheaper to implement. However, there can be drawbacks, such as the testers wanting to present any usable data, which can skew the results. Social listening involves not only monitoring social sites for mentions of your brand but also analyzing this feedback and providing improvements and solutions based on it. There are several reasons why social listening is an important customer-feedback tool, one of which is that customers appreciate a personal response from businesses to their questions. Being present and responsive on social media is an excellent way to instantly respond to customers and their concerns. You can also gain insight into problems that need correcting and improvements that people want added to your brand. You can set alerts to monitor brand-name mentions with sites such as Google. This deceptively simple survey metric is a valuable gauge of customer satisfaction that directly correlates to business growth. The Net-Promoter Score (NPS) consists of one question that asks customers how likely they are to recommend a business to a friend or colleague. The answers are ranked on a scale of 0 to 10. Many services can set up an NPS survey and provide analysis. Maintaining a successful business is never a stagnant process, and it is up to you to keep current with your customers’ experiences, expectations, and opinions. Utilizing customer-feedback methods is the best way to retrieve this critical information. If you’re looking for other ways to improve your business, we highly recommend investing in Thirst Productions’ content marketing and SEO services. There’s an ever-growing need for advanced yet affordable SEO services, and we know we won’t disappoint!